The Digital Graffiti Wall is a larger than life, Interactive Photo Experience. Guests get their photo taken which instantly appears on the wall for them to create their photo graffiti masterpiece! 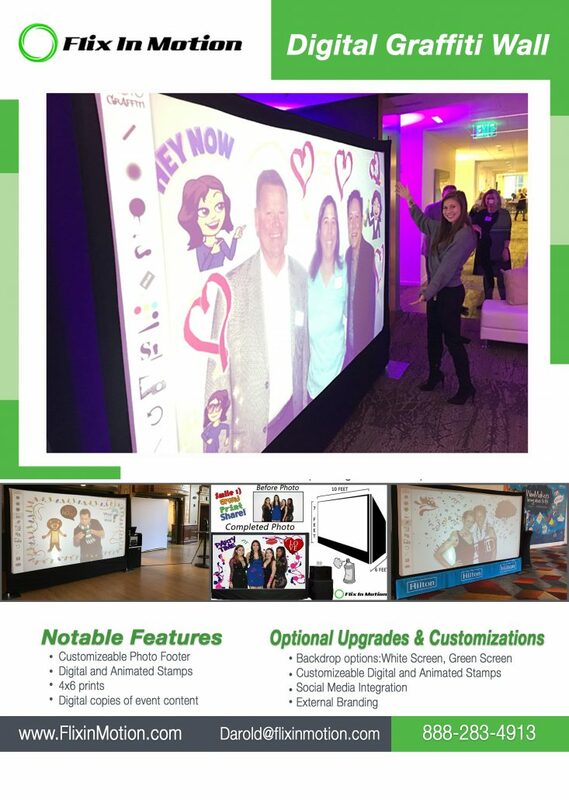 With so many customization options, the Digital Graffiti Wall is perfect for Brand Activations and Marketing Events!